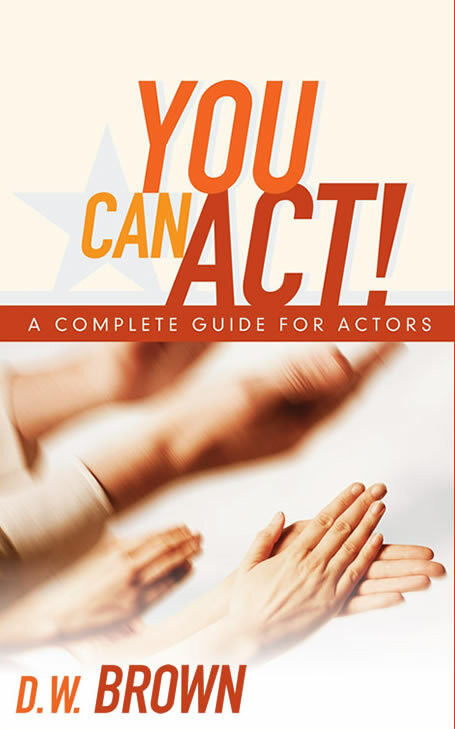 RAVES FOR YOU CAN ACT! As the artistic head of The Joanne Baron/D. W. Brown Studio, (www.BaronBrown.com) D. W. Brown has trained, directed and coached hundreds of actors and led seminars on acting with Sean Penn, Benicio Del Toro, Anthony Hopkins, Dustin Hoffman, Susan Sarandon, and Sidney Pollack; other notables who have spoken at the studio include: Robert De Niro, Jim Caviezel, Jeff Goldblum, Martin Sheen, Richard Dreyfuss, John Singleton, Martha Coolidge, Robert Towne and Mark Rydell. D.W. has personally coached and taught Robin Wright Penn, Leslie Mann, Keanu Reaves, Jamie Kennedy, Nicollette Sheridan, Michael Vartan, Mariska Hargitay, and many other great talents. He has just finished writing and directing the feature film In Northwood starring Nick Stahl, Olivia Wilde, Dash Mihok, Pruit Taylor Vince, Shoreh Aghdashloo, and Joanne Baron. D.W. Brown is a lover of dogs, has a purple belt in Gracie Jiu-Jitsu (from Rickson Gracie) and feels most himself when acting, directing, or walking through a museum at night with Joanne.